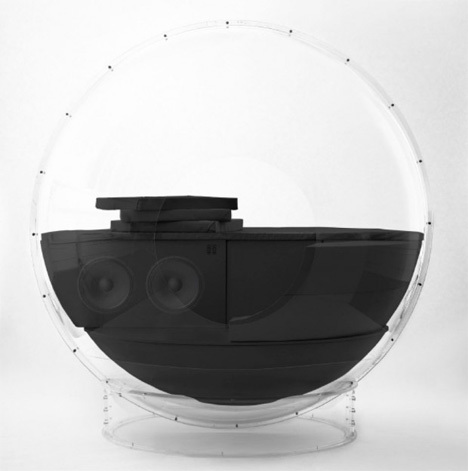 If you’ve ever wanted to live inside of your favorite music, gigantic speakers called AudioOrbs can make it happen. 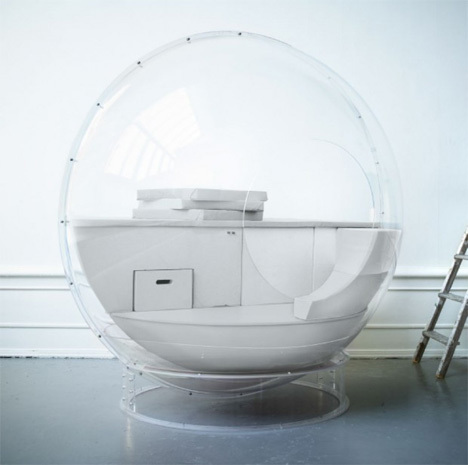 The makers of AudioOrbs say they’re the first speakers in the world that you can sit inside. 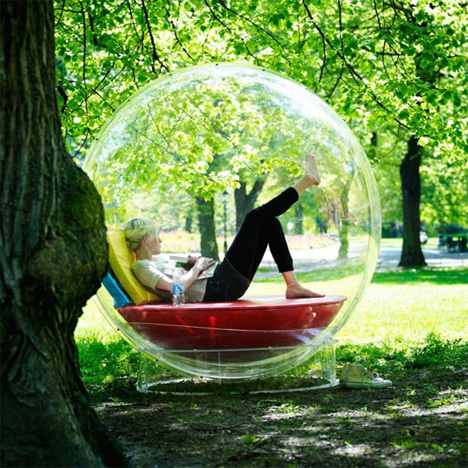 The orb is like a huge sound bubble that can contain an entire human on its built-in seat. The included cushions can be rearranged to provide exactly the right sitting position for listening to your favorite songs on the 18 built-in speakers. Of course, the privilege of your own personal live-in music bubble doesn’t come cheap. The project was listed on IndieGoGo with the only funding amount being $15,000: the price of one AudioOrb. According to ST, the Scandinavian design lab behind the AudioOrb, it’s likely that only two of the orbs will ever be produced. See more in Audio & TV or under Gadgets. January, 2014.